Echo 2014 has been selected for the 2014 Paul Guest Prize for contemporary drawing, at Bendigo Art Gallery. 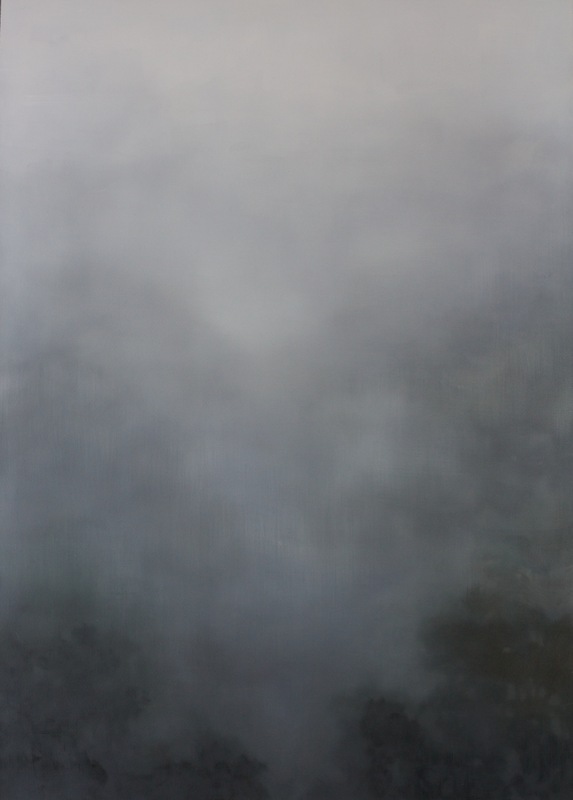 The Paul Guest Prize is a non-acquisitive cash prize of $12,000 which is held every two years, highlighting contemporary drawing practice in Australia. The Prize was initiated by former Family Court Judge and Olympic rower, the Honourable Paul Guest QC and encourages artists from across Australia to engage with the important medium of drawing and to create challenging and unique art works.  Adriane Strampp is a finalist in the 2013 Banyule Works on Paper Award with her work ‘Ether’. The Banyule art collection is a contemporary collection of art works by leading and emerging Australian artists. While it includes a range of media it is distinguished by its collection of works on paper. The Banyule Award for Works on Paper capitalises upon this strength by developing this aspect of the collection further. It is an acquisitive prize of $4,000 and is held biennially. The theme for the award this year is “Of Light: Reflections on Colour”. Adriane Strampp’s Memorium 2012 has been shortlisted for the Geelong contemporary art prize. The Geelong contemporary art prize (formerly the Fletcher Jones art prize) is an acquisitive painting prize, conducted by the Geelong Gallery on a biennial basis. 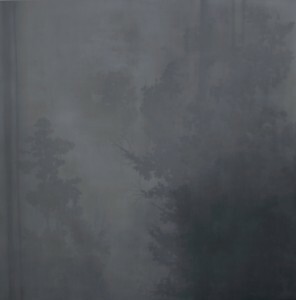 In 2012, an exhibition of shortlisted paintings will be held from 15 September to 18 November. The announcement of the winning work will be made on the opening night. This year the $30,000 prize money is generously provided by the Dimmick Charitable Trust. 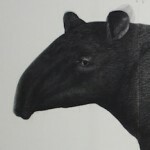 Adriane Strampp’s life-size drawing Tapir has been selected for the 2012 Paul Guest Prize at Bendigo Art Gallery. The judge for the 2012 Paul Guest Prize is Cathy Leahy, Senior Curator Prints and Drawings, National Gallery of Victoria, Melbourne. The full list of finalists can be read here. 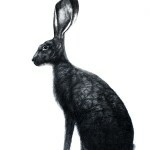 The City of Yarra has acquired the drawing Hare II by Adriane Strampp for its Contemporary Art Collection. Hare II was recently exhibited in Five Miles from the Sea at Victoria University. Over 150 artworks were submitted by 80 artists from which nineteen works were chosen. Five Miles from the Sea is a group show curated by Geoff Tolchard. Five Miles from the Sea is a look at the incursion (Five miles from the Sea) of non-indigenous Australians and their resulting mark on the land. Whether it is the erosion of the land or the erosion of the quarter acre block, how are we shaping and living in the hinterland? Who lives five miles from the sea? What does it look like though the eyes of ten diverse artists, some from different parts of the globe, who have indeed made Australia their home? In considering the impact of European settlement in Australia, one of the most invasive and damaging migrants (other than European man), is the rabbit. Although originally arriving with the First Fleet in1788, it was Thomas Austin, formerly of Somerset, who is held historically responsible for the spread of rabbits when he released 24 rabbits and 5 hares at his property Barwon Park, near Geelong in 1859. A lack of predators and mild winters provided an ideal climate for year-round breeding and by the 1900’s the feral rabbit population had reached plague proportions across Australia. Despite the rabbits’ devastating impact on native flora and the environment, the introduction of foxes as a remedy only worsened the situation as the foxes found indigenous birds and marsupials easier prey. In 1907 the infamous rabbit-proof fence was built in WA, a futile attempt to control the spread of rabbits, and later in 1950 Myxomatosis was introduced, causing a slow and painful death that ultimately the rabbits became immune to. In 1863 the Acclimatisation Society of Victoria set up on Phillip Island a breeding colony for hares sent from London by the Zoological Society. Although introduced at the same time as rabbits, hares had less of an impact on the environment being slower to breed and non-burrowing, and their spread was limited to the more temperate climate of South-Eastern Australia. 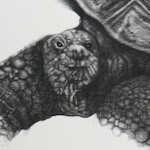 This work is from a series of recent drawings titled The Animal Gaze, examining the fragile relationship between animals and the human race. 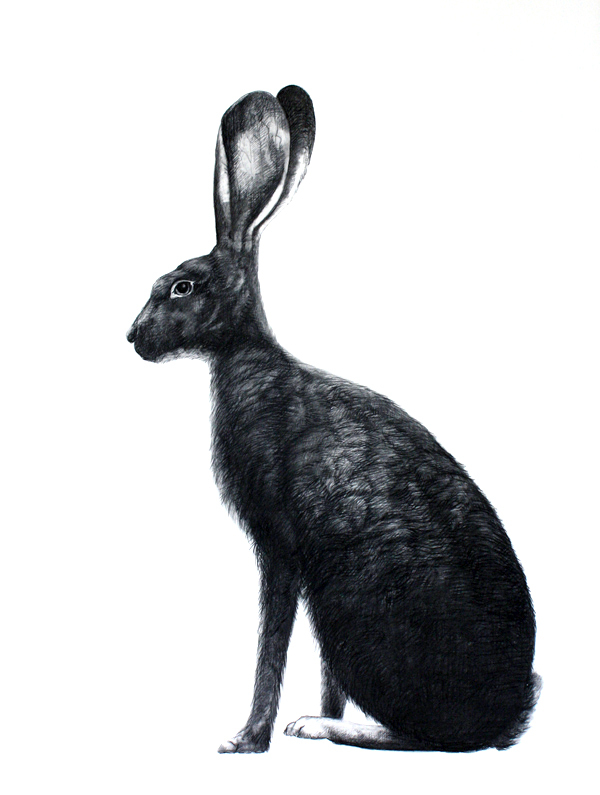 The hare stares back at the viewer, a symbol of strength and vulnerability, segregation and marginalisation. We are both migrants to this land and the animal gaze serves to remind us equally of our imposition on their world. Hares, horses and stags have long featured in Strampp’s work, images of the hunted and the haunted, symbols of both strength and vulnerability. 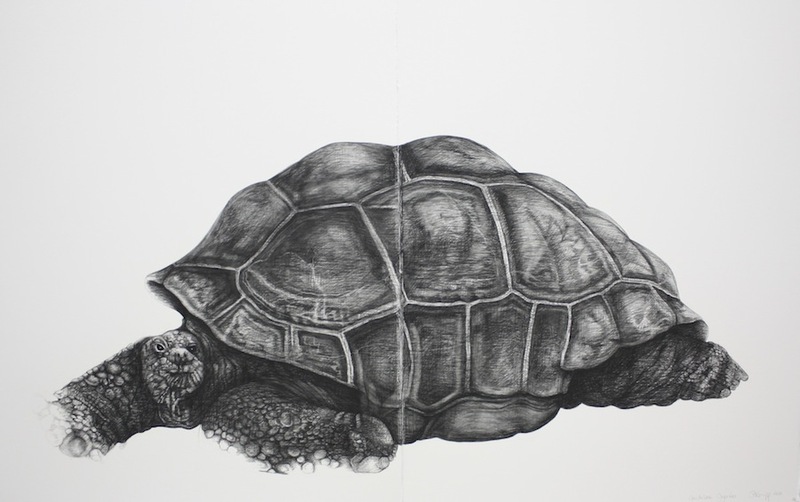 In conjunction with Strampp’s 2011 residency at Sydney’s Taronga Zoo, Erlösung: The Animal Gaze is a project drawing exhibition that considers the animal gaze, and the relationship between the observer and the observed. The animals in this exhibition are not cute; rather they are solid, monumental creatures drawn life-size, yet paradoxically they remain fragile and exposed. Their wary gaze regards us, guarded and measured, and they remain ‘in absentia’. In our desire for connection we long for our gaze to be returned, but as they look through or past us our projections are mirrored back, only to remind us of our imposition on their world. 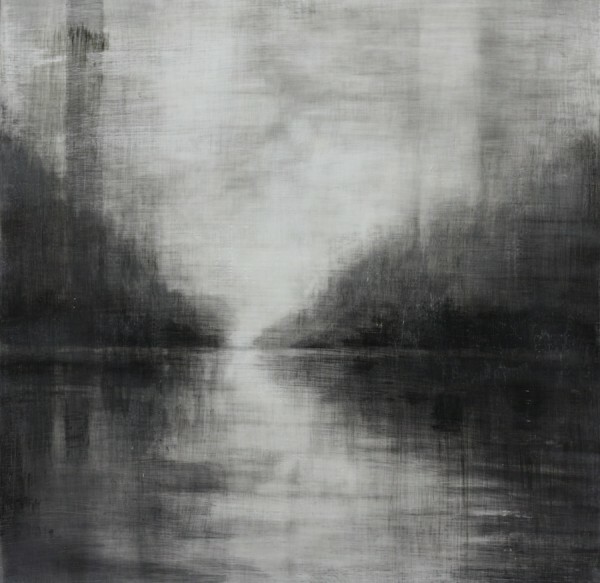 Adriane Strampp is among the 31 finalists for this year’s John Leslie Art Prize 1 October 2010 with her painting Grey Garden oil on linen 152 x 152 cm.